Thanks for dropping by DesOps.io. DesOps (aka. 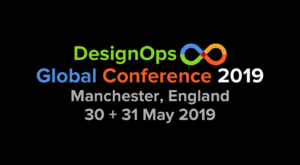 DesignOps ) is an approach to design inspired by the culture of DevOps. 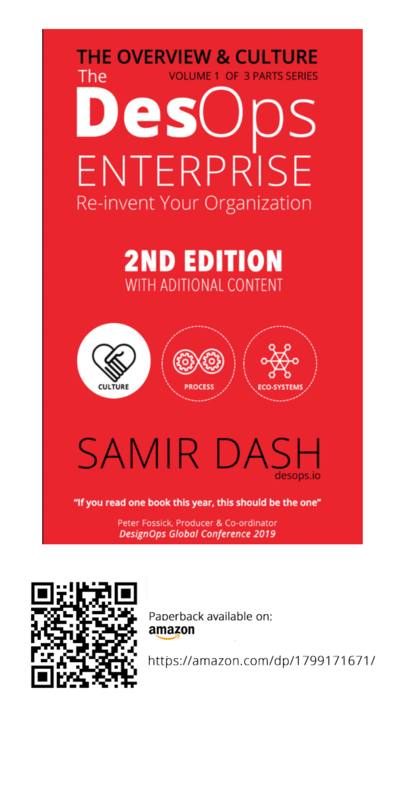 In this site, I will be touching upon the practical approaches on how to prepare for the next wave in design that compliments DevOps in the concepts of cultural shift, collaboration and automation to make a full-circle in product lifecycle. This site is basically my explorations and journey into DesOps, in which I will be talking about different philosophies as well as practices in context to the emerging technologies that can help us solve real challenges to come-up with the right service design approach that can be helpful for the design communities and teams across the industries to enable the digital transformations for product lifecycles for more meaningful deliverables with delight for the end-users. All the views, presented are pre-dominantly my own, unless otherwise mentioned. Please use the subscribe in the sidebar, so that I can send you updates regarding new posts, media and useful tools/templates in coming times. Have a great day and happy reading moments at DesOps.io. For more than a decade, Samir Dash, has been into different roles involving digital & system design, User Experience (UX) and UI development and contributed to disruptive product innovation and design strategy across the Software and IT Services Industries. Experience includes strategic road-map and planning for social and mobile software products & services. Specialised in providing consulting in strategic road-map for enterprise DesOps, Dev-Ops, Micro-services, intelligent eco-systems and application porting for cross-platform devices. Defining product & UX strategy for mobile, SaaS and cloud-based eco-systems; bridging between the UX design and technology team; providing support marketing and user-research team in product positioning for the enterprise and consumer market. Developing new product concepts and feasibility study, technology selection and implementation strategy for eco-systems. UX Design and front-end technology team management across global set-ups. competitive analysis and defining MVP for new markets, insight management and innovation for the digital lifestyle, healthcare, consumer-facing mobile and social web. 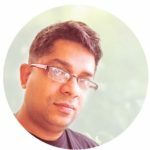 Currently Samir is working as Principal Software Engineer (UX) at RedHat, focusing primarily on Interaction Design and Information Architecture for OpenShift.io family of tools.